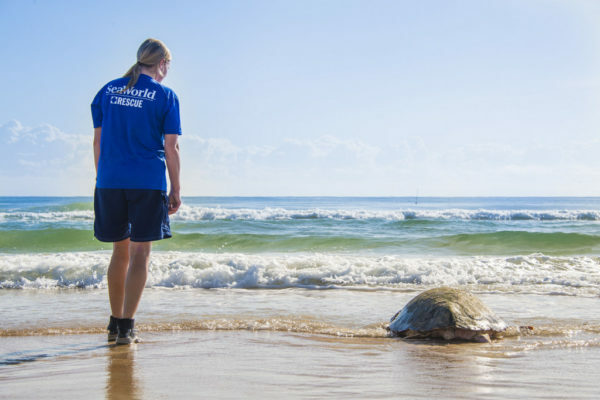 A sub-adult loggerhead sea turtle is at home in the ocean thanks to SeaWorld Orlando’s Rescue Team, Florida Fish and Wildlife Conservation Commission (FWC), and the Volusia Marine Science Center. 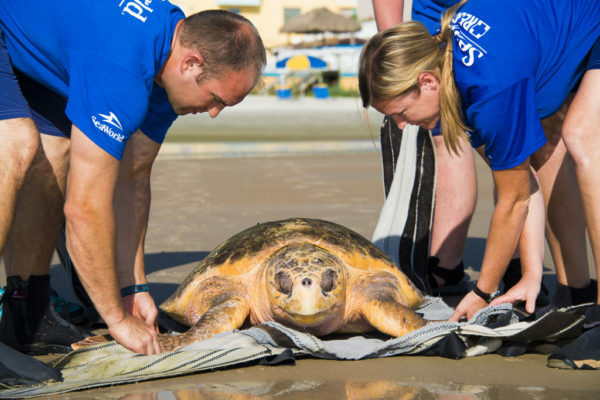 After three months of specialized care, the 183 pound sea turtle was returned to its natural environment at Daytona Beach. The sea turtle’s story began on Daytona Beach in May, when it was rescued by the Volusia Turtle Patrol and brought to the Volusia Marine Science Center. Upon rescue, the animal was found with an amputated flipper and seemed to be struggling with digestive issues. After transportation to SeaWorld for rehabilitation, an X-ray diagnosis revealed a large amount of seashells in the sea turtle’s intestines which created an impaction. 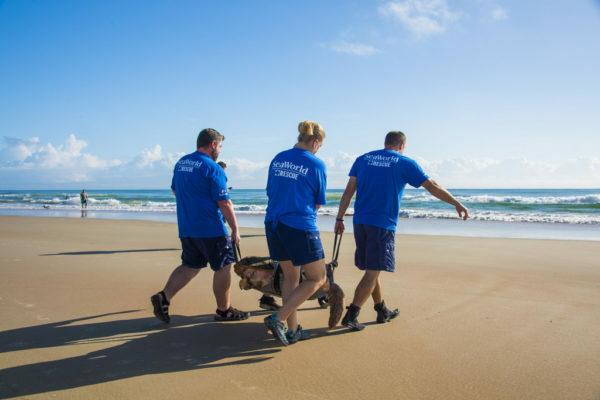 With patience, medication, and fluid therapy, the rescue team at SeaWorld removed the blockage from the sea turtle. 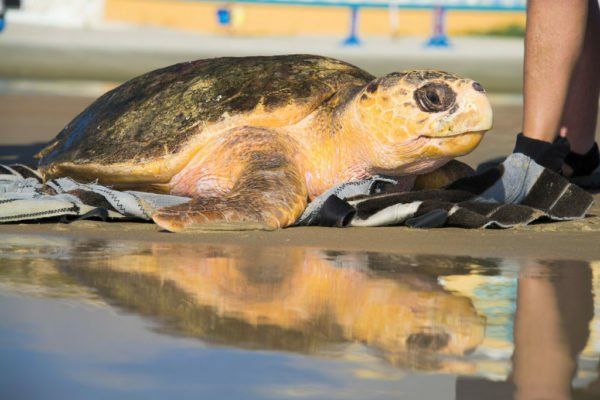 After a clean bill of health from the veterinarians, the sub-adult loggerhead became the 17th rehabilitated sea turtle returned to the wild by SeaWorld Orlando this year. While a trip to the beach in Florida is a popular vacation choice, it is important to be mindful of human actions can impact local wildlife. Many sea turtles find themselves tangled in fishing line or other unnatural debris, which can be life-threatening. In Florida, sea turtle nesting season runs through October. After a fun-filled day at the beach, it is important to clear your sandcastles and chairs which can be problematic obstacles for vulnerable hatchlings on their way to the ocean.